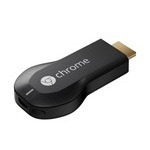 The Chromecast is cheap, affordable, and easy-to-use. Great. That's almost all you need to have a stellar product. Unfortunately, it's been held up by a lack of content. If you want to cast something that hasn't been made by a handful of providers, you've been largely out of luck. But this situation is hopefully about to change. Today Google has released the Google Cast SDK. This way additional developers can finally build Chromecast support into their apps and websites. With this release, the Google Cast Android API has been incorporated with Google Play Services. It requires version 4.2, which Google has scheduled to roll out starting today. Official Google Cast SDK Release!!! Developers looking to get straight to work can head over to the Google Developers Blog for more information or take a gander at the overview video below. And here is a list of sample apps for your inspiration.